UK health service should always be recognised for the good it has done and continues to do on a daily basis, we have one of the leading health care systems in the world. There is no denying that over the past few years it has been in crisis and has had many failings but it is important to remember that the failings are within the minor and much of the work that takes place is shadowed by the few that fail it. The NHS has been the subject of a lot of controversies. But should we abandon it just because of that? After all, no country is perfect, and we are still improving through constant evaluation. 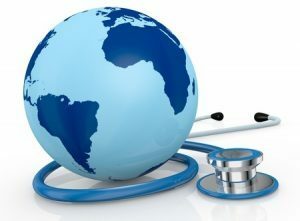 Most advanced countries in the world are plagued by a lot of problems in their own healthcare systems. New statistics from the US, for example, show that one out of every 4 patients comes to harm during their stay in hospital. Even worse is the sheer amount of money wasted in the healthcare system, estimated at a staggering £1 billion every year. Sounds bad? Well, France fares no better. Public doctors have little incentive to improve and the waiting time in some sectors (like dentistry) often forces patients to seek treatment abroad. Take any other country: Germany, Austria, Australia, all of them have some form of problem or the other in the healthcare system. We are not unique. But that does not mean we should simply let the problem lie. Finding a solution to our problems and going forward is the only solution. One of the biggest factors we have obtained through a better healthcare is a better life expectancy. Compare the human life average compared to a century back, and you will note that we have made significant strides. However, this is a double-edged sword due to higher life expectancy; most of the public hospitals now face a much higher burden. The number of patients is much higher, and thus, not adequate care is bestowed on every individual. This is yet another factor associated with an aging population. An increase in the occurrence of chronic diseases is straining the public healthcare system. Diabetes, heart diseases and chronic respiratory problems become more and more severe as time passes, leading to an ever higher burden being placed on the current healthcare system. The only solution is efforts for a better healthcare through a higher healthcare budget, but it is becoming an increasing challenge by the day. The need for all sectors of the community is not the same. There are some marginalised communities which need healthcare more than others. However, identifying these and then working towards a better solution for the same is not as easy as it sounds. While the House of Commons is working towards a plan for the same, it is proving to be a very big challenge. Public expectations from the healthcare system change with time. In fact, it is natural for the expectations to increase. However, the pace in the rise of expectations has not been uniform. That is the main problem with the healthcare system. While the advances in the system have followed a standard rise in advancements, the public expectations have followed an exponential growth curve. The result is an imbalance between the two. The Accident and Emergency (A&E) sector is one of the most crucial sectors in the current healthcare system. However, there have been reports which state that patients have faced long wait times, of up to 4 hours. This is hardly surprising considering the rise in the number of patient in recent years. However, it remains imperative this be looked at and improved as soon as possible.